Due to interest we confirm the coach has been booked with Fourway Coaches. We anticipate the coach will depart approximately 10.00am from Adel terminus and leaving at 6.30pm to return. A fun day for all generations. 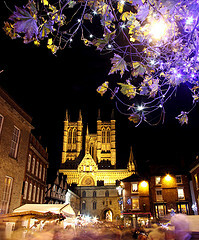 Lincoln Christmas Market is probably the finest and most extensive Christmas Market in the UK. Set on a cobbled square beneath Lincolns magnificent 12th Century Cathedral are craft stalls, occupied by staff in period costumes, choirs bell ringers, hot chestnut stalls and festive fayre to appeal to all generations! The medieval square between the impressive Norman Castle and magnificent Gothic Cathedral is the perfect backdrop for the Christmas Market. You can come alone or bring a friend. Grandparents can bring their grandchildren and children can bring their Parent(s) or guardian. On arrival, you will be able to do some Christmas shopping or you may just want to relax and take a look at the city. Please note an adult MUST accompany all children under the age of 16. If anyone requires a child booster seat, we advise you to bring your own. The cost to go on the trip is £10 deposit each, first child goes free then £5 for every child thereafter. 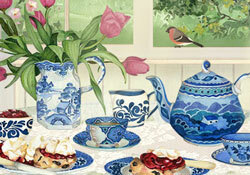 There will be FREE refreshments available on the coach. You will be pleased to know that we are to apply for a parking permit which allows the coach straight into the market. All bookings are available to residents who live in Adel on a first-come, first service basis. You may wish to bring your friends or family from another area providing one family member is a local resident of Adel. If you and your family still wish to go on the trip you are advised to book as soon as possible to avoid any disappointment. Should you require any further information please go to the Contact button at the top of the website page and we will respond to your enquiry as soon as possible.